She repeated her speech more slowly for my benefit. 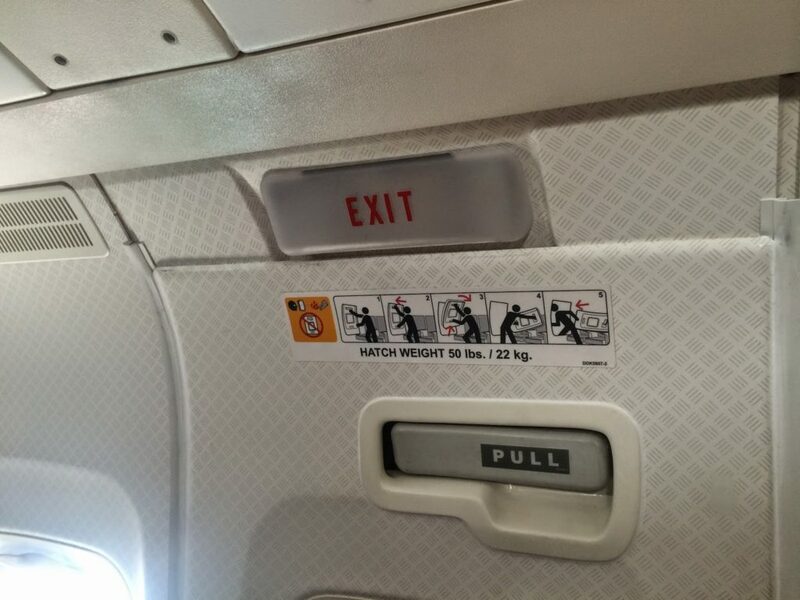 “You are seated in the exit aisle. In case of an emergency we ask that you take charge of opening the escape doors. Please study the directions posted on the door so you will be prepared.” Looking straight in my eyes she asked, “Are you ok with this?” Finally understanding, I agreed and she moved off down the aisle. I thought about the possibility of anything happening on my flight and knew it was only a remote chance. Yet it was still a huge responsibility that would be crucial if, in fact, an emergency did occur. It is always better to be prepared. As Christians we are asked to be prepared to share God’s message of salvation with those whom we meet. There are hundreds of thousands in the world who are in an emergency situation because of their sin. This sin produces death in those who do not exit through the escape hatch of Jesus Christ. He has provided this way to escape death by taking the sinner’s punishment onto Himself by dying on the cross of Calvary and rising from the grave three days later. Those who put their faith in Jesus will have their sins forgiven and be able to enter into God’s heavenly home instead of experiencing the death they deserve. If anyone turns from the truth and then a follower of Jesus turns him back to Christ, that sinner can be saved from the error of his ways. His soul will be saved from death and a multitude of sins will be forgiven and covered over. If you are Christian, you are sitting in the exit seat. There is an emergency and many are going to die in their sins. If you introduce each person you meet to Jesus, the only exit hatch into eternal safety, many souls will be saved from death, sins will be forgiven, and there will be much joy in heaven. Are you ok with this?